Today I am continuing with my series of articles dedicated to Beijing, my “second home.” As opposed to my last article, in this article, I want to list the things that you should avoid doing in Beijing. 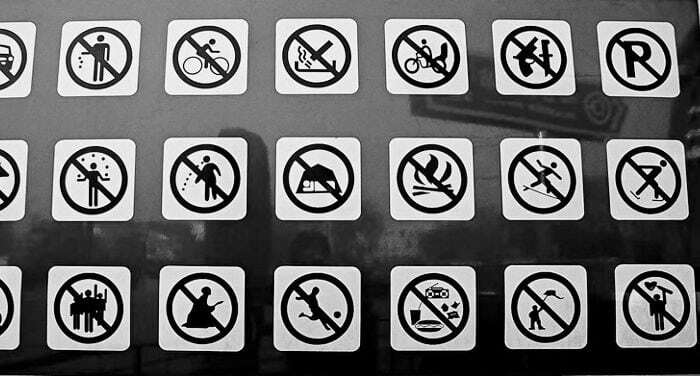 For those of you who know the city a little, many of these things may seem obvious to you (or maybe not so much). For those of you who are visiting the city for the first time, I recommend that you read this article thoroughly. 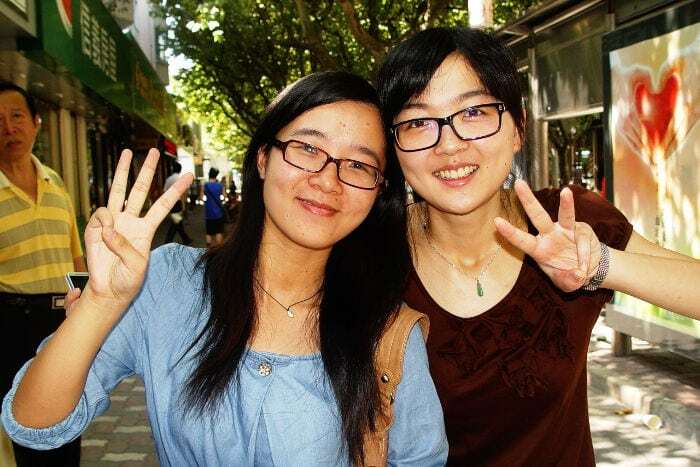 Some educated students come up to you (usually girls), ask where you’re from and if it’s your first time in China, and afterwards they start to tell you that they are students and that they want to practice their English. After a nice conversation with interesting explanations of the country, they suggest you go for a drink to keep on talking. You go with them and order a tea and some food, you keep on talking and when the bill gets there, its a whopping 1,000 to 2,000 Yuan (around 160-320 USD). This might not seem like a very effective scam, but I assure you that many of us have fallen for it. Yes, we have! The first time that I went to Beijing (in 2005), some “students” took me to a gallery to sell me calligraphy paintings for really inflated prices, but luckily I managed to escape (with difficulty) without leaving a cent. However, since 2005, their techniques have gotten much better and it’s no longer so “easy” to escape. Be careful because they attack when you’re most vulnerable, normally when you still have jet-lag and are wandering around Tian’anmen or Wangfujin, the places that tourists tend to visiting on their first stay in Beijing. Beijing is the capital of the most populated country in the world and is one of the preferred destinations of Chinese tourists. In the past years, thanks to the country’s economic progress, the volume of domestic tourism has grown exponentially. 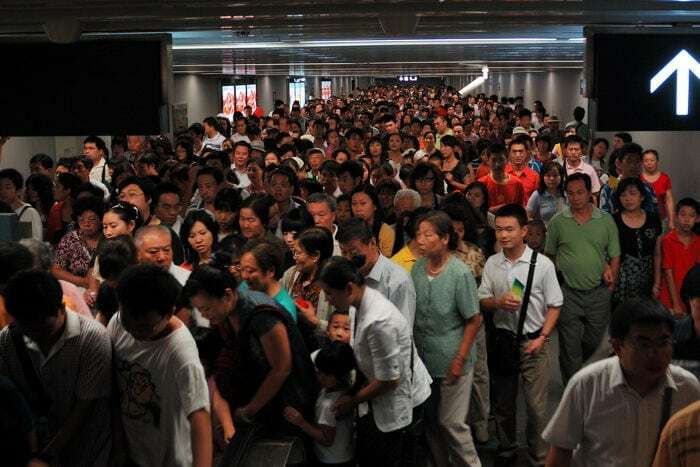 In China, the majority of the tourism is concentrated during national holidays and because of this, during these dates, tourist attractions are packed with tourists. They come in such numbers that some places are just inaccessible. The first week of October (called golden week) should be particularly avoided, as it’s the worst of the holidays. The only exception is Chinese New Year (end of January or February), as this is a celebration which usually takes place among family (similar to Christmas). 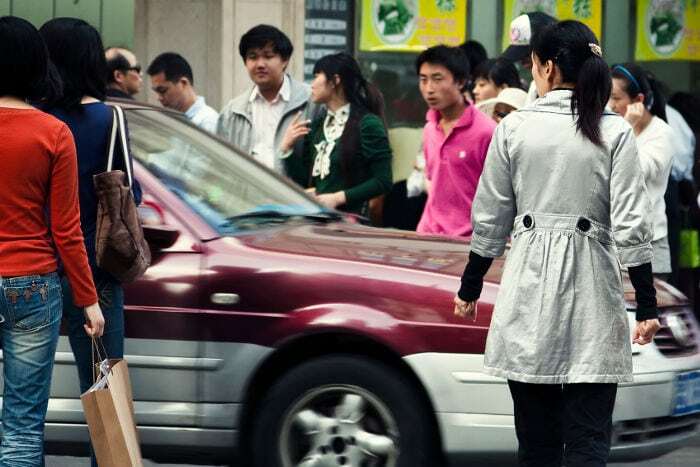 In Beijing, many of its residents are workers which have migrated from other provinces and the majority go home on these dates. The only problem is if you plan to visit other cities, as it’s very hard to find plane tickets and it’s practically impossible to get train tickets. 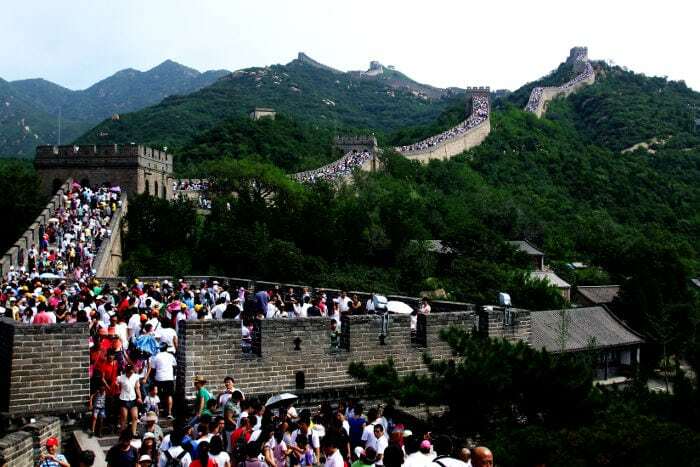 One final recommendation if you are planning to visit the Great Wall of China: avoid at any cost the Badaling section, regardless of whether it’s a holiday or not. Well, that’s as long as you don’t want to see the Great Wall of Chinese (see photo) instead of the Great Wall of China. 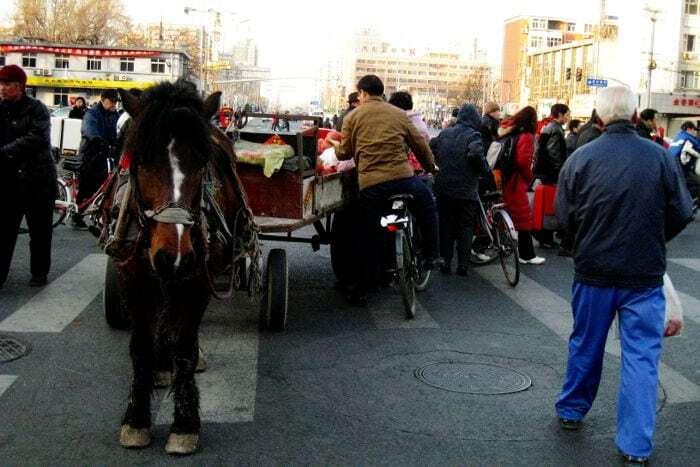 In Beijing, traffic jams are completely unpredictable. They can happen at any moment of any day of the week, and when they happen, they are enormous. The cause is always unknown, but the consequences are very clear: a 20 minute trip turns into an hour and a half. If you are just on time (you have to make a train or have an important meeting), it’s very likely that you’ll arrive late. My recommendation is that you do things like the people from here and go to places way in advance, and if that’s not possible, take public transit and not a taxi. Beijing is not Bangkok, where you have to have a long discussion with the taxi driver for them to use the taximeter. 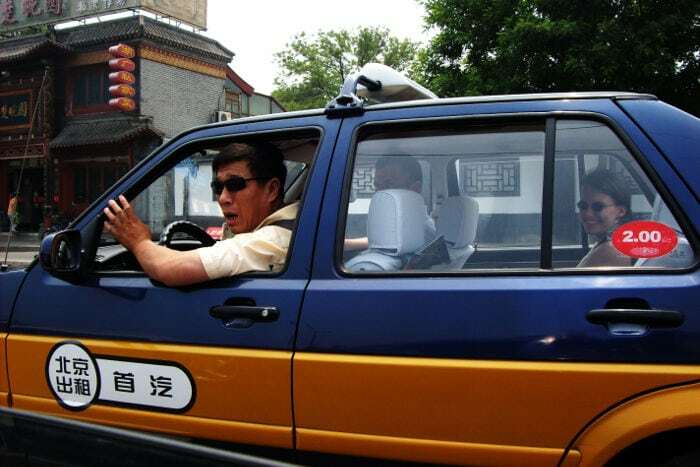 In Beijing, the majority of taxi drivers are honest and will turn on the taximeter as soon as you get in the car. Nonetheless, there are still taxi drivers who are scammers and who will try to take advantage of foreign tourists with a negotiated price (obviously very inflated). Normally, these taxis are parked in tourist areas waiting for a tourist to scam. One typical place is the Silk Market. To avoid them, I recommend that you never take taxis which are parked in the street, but rather that you stop one that’s moving around. That being said, there are certain occasions when it’s normal to set a price with the taxi driver. You agree on a price only if you’re traveling to some place outside of the city, such as to the Great Wall, for example, or if you want the taxi to wait for you while you visit some place. I don’t recommend that you take unofficial taxis (the so-called black taxis), because they may be dangerous in addition to more expensive. They are easily recognized as they don’t have the taxi symbol on the hood. Many of these taxis are out at night because in certain areas, legal taxis can be hard to find. Another one of their strategies is in train stations, where there are long lines to take a taxi. Personally, I have only taken them under extreme circumstances, like one time when I went to the Great Wall and missed the last bus back. One final warning: in the west Beijing train station, they recently changed the place where you take taxis without making it very clear. If you go to the former place, you will find a ton of illegal taxis saying that there are no taxis or that there won’t be any for 2 hours. What does this mean? That some people, when you ask them for directions, prefer giving you random directions rather than admitting that they don’t know. So, ALWAYS CONFIRM any directions that people have given you with another person, and if the directions don’t match, find a third opinion. Beijing is a massive city and is extremely expensive to live in. This causes millions of people to cover large distances in public transit to go to work each day. 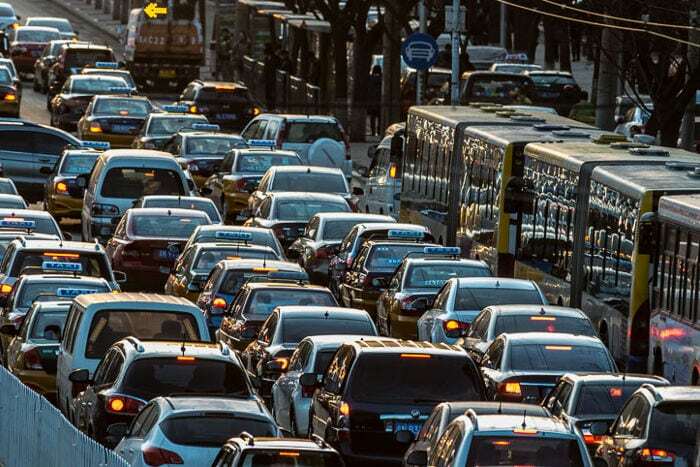 Unless you’re a fan of crowds, body odors and pushing, avoid taking the subway or the bus between 7:30 and 9:00 am and between 5:30 and 7:00 pm, times in which public transit has trouble handling the enormous amount of passengers. In addition, if you’re a tourist, these are also the times during which Chinese tourists move around, which means that you may easily find tourist attractions with large lines and crammed with nosy tourists. Google Maps has become an essential tool for getting around in the last years, especially since smart phones integrate the information on the internet with the GPS. 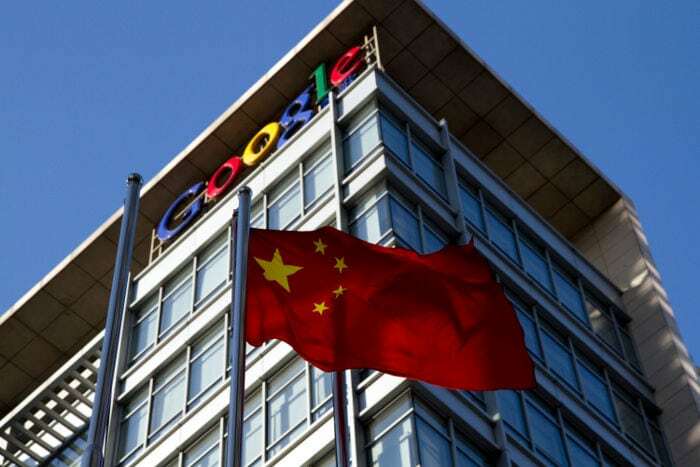 Currently, Google Maps is inaccessible or practically inaccessible in mainland China, unless you have a good VPN on your phone or computer. Even if you have a VPN on your smart phone and can access Google maps, the locations won’t always be accurate. In my experience, in Beijing, the maps have some incorrect parts. If you try to find important or famous places in the city, this won’t be a problem, but if you’re looking for an alley or a small restaurant that someone recommended to you, you might not find it or its location could be wrong (the last time I used Google Maps to find a small restaurant, it was 2 kilometers off). My recommendation is that if you know some Chinese, use “Baidu Maps.” If you don’t know Chinese, always bring the address written down in Chinese characters with you. That way, if there is some mistake, you can always ask a taxi to take you. 1) The survival of the strongest: In the event of doubt, the strongest always has the preference. That’s to say that as a pedestrian, you’re the last on the list. 2) Only vehicles with four wheels respect traffic laws; those with less wheels don’t. 3) It’s always possible to turn to the right and the traffic light doesn’t apply (unless it’s a specific one with an arrow). 4) Moderate speed: In your case, as a pedestrian, you should avoid running and give vehicles time to dodge you. So, when you cross the street, even if the traffic light is green, you have to be careful, first with the first lane where the bikes and electric scooters will be coming at you from both sides, then with the second lane of cars turning right, and then with the second to last lane where the turning cars are arriving and last of all with the bikes and electric scooters once again. Complicated? Don’t worry, follow the locals and use them as a human shield. That always works! Beijing, as opposed to the “modern and organized” cities of the south (Shanghai, Guanzhou or Shenzen), is a massive, chaotic and hyper-bureaucratized city. Because of this, its inhabitants have developed their ingenuity to solve the thousands of little problems which living in this city entails. Many foreigners, whether tourists or residents, lose their cool easily in many situations and aren’t able to understand what is happening exactly. During my time in China, if I’ve learned one thing, it’s to stop asking why Chinese people do the things they do (sometimes I understand, sometimes I don’t). The important thing is that even if the path is strange to you, it arrives at the same destination. One clear example of what I’m talking about is when you take a tourist shuttle to go to some place outside of the city (such as the wall). Often, in the middle of the route, the driver may make you get off and get on another vehicle. In this situation, there’s always someone who doesn’t understand and who refuses to get out because they think they are being scammed. My recommendation is not to argue (it won’t make a difference) and that you do what they ask you to without asking what is happening. You will save time and avoid misunderstandings! Beijing has one of the worst climates I’ve seen and it’s very treacherous. This isn’t just because summers are long and suffocating or because the winters are never-ending and icy. 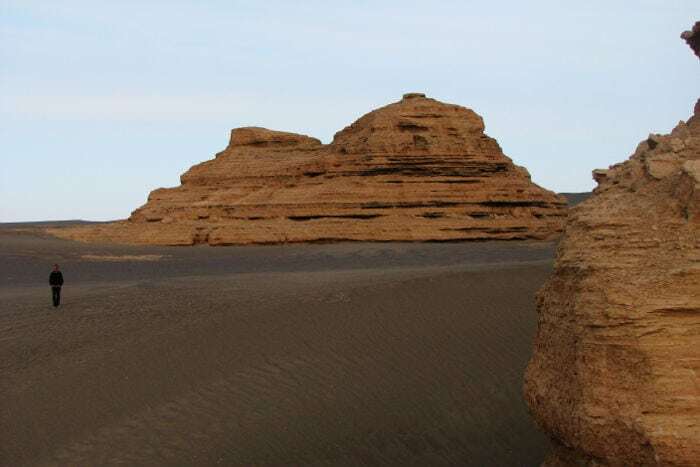 There are sandstorms in spring, torrential rains, hurricane-force winds which drag you forward and if that’s not enough, the fog/pollution can appear at any moment and won’t let you see even a person arm’s reach from you. 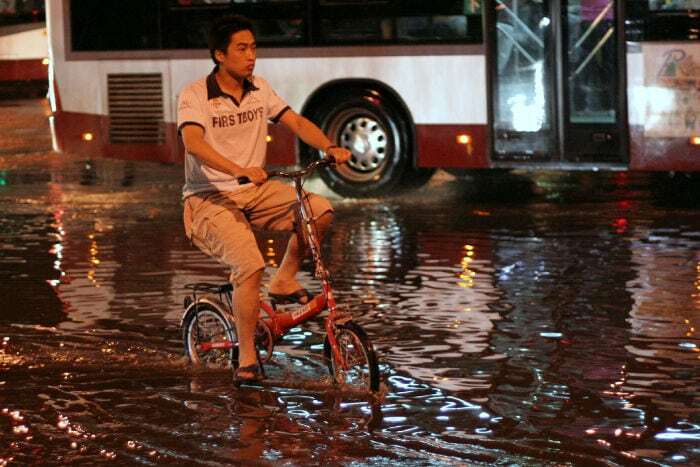 Beijing is an incredible city, but go prepared to suffer from inclement weather!